The global coal mining industry is making many new changes in order to perform more efficiently. This is necessary for coal production companies, as they all enter the modern era of renewable resources and clean energy competition. The landscape for the coal and steel business is changing in all countries, but still remains one of the dominant forces for providing global energy. Numerous new technologies are becoming standards in the coal mining and refining industries. Each being relevant to keeping the coal manufacturing base strong, as it employs millions of people worldwide. 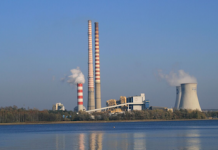 Recent years have been difficult for industrial coal companies, since the statistical reviews show the global energy markets are changing rapidly. BP Oil’s statistical review of energy consumptions cast a particularly negative light on the worldwide coal industry in 2017, and this is one influential viewpoint. Still there is always the bigger picture as the industries understand it, meaning that consumer demand for coal is not diminished by any means. Coal currently makes up 29% of all worldwide energy consumption, but also over 41% of the resources needed to create electrical power. Some countries have declined in coal consumption, such as the United Kingdom, but their usage only represented 3% of the international demand. In contrast, China uses nearly 50% of all coal exports and India has doubled their coal consumption to 20% of the global index by 2035. The coal industry is not only having to think outside the box, but is literally giving the box upgrades. 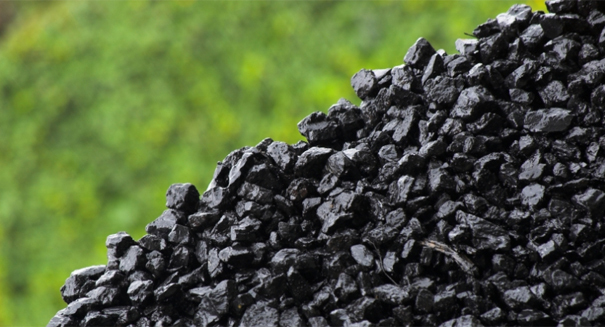 As a list of new technologies are implemented in order to stay ahead of the environmental factors that are reshaping coal today. The shift towards a green energy mindset has created the need for innovation within the coal mining, production and exporting industries. With necessity being the birth giver to innovation, great strides have recently been made to improve technology to have a lesser impact on the environment. 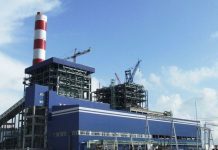 This is true for the overall global coal industrial base, and here are some of the solutions that are being implemented now. Industrial shipping of coal is seeing major technological process changes. Modern coal ports are advancing ship loading technologies and attempting to bring port pollution rates to zero. It is possible to do this today, but will take time to upgrade all coal shipping ports in all countries. The first change is to install self loading and unloading systems for all bulk carrier ships, such technology uses conveyors that can reverse their direction for loading coal. One set of conveyors will move loads into storage, while the second sect is used for reclaiming purposes. These newer loading systems allow ships to move coal on and off their vessels nearly 3 time faster. Another change is that all ship port loading and unloading systems are enclosed by a hooded dust collector, air is extracted from this larger mechanism, so that no dust escapes the cargo movement zones. This extracted air is then put through a filtering process that separates all coal dust particles and greatly reduces pollution rates for coal shipping ports. This technology is new, but already shows signs of higher level efficiency than past port designs. Along the same lines, coal mines and production facilities are making big upgrades to their current technologies. These changes are being integrated into each level of the coal industry infrastructure, so their impact will take longer to see in most cases. It is important that these technologies be developed for the optimum safety and ready to use in real world situations. Coal mines are already starting to use new conveyor technology, in attempts to create safer work standards for miners and people working underground. Compact conveyors are being used in many mines, as technology tries to overcome the ever tightening work space limitations. Many companies are working on ways to improve conveyor systems for coal mines, including designs to make conveyors less susceptible to wear from loading, self cleaning mechanisms for belt driven systems, motorized pulley assists to upgrade exposed conveyor drives, newer belt training methods to remedy belt mistracking, and new ways to combat tracking alignment problems. All these are constant issues for coal mine production and new innovations that make conveyors work more effectively are on the rise. Another similar upgrade to coal production technology is domes for dust collection. Dome technology is truly changing the face of coal companies, particularly in the United States. Domes are the best method for creating less pollution by way of dust suppression solutions at open casting mine operations near hauling roads, much like ones being used by shipping ports. The air filtering used by these systems is equally good for the people in the working environment of coal mining facilities. The air quality ends up being less harmful while the filtration keeps coal dust from leaking into the outside and pollution the atmosphere of this planet. This technology has been possible for some time, it just took the new legislative landscape to get companies actively figuring out how to make it function cost effectively. Other technologies are in the works, such as improving electrical power distribution for mining operations and more advanced designs for tipping trucks. Each being a step forward to meet the goals of new environmental standards within the coal production industries. In the end, it really comes down to the bottom line with all such changes. The coal companies need to remain profitable, if this can be done everyone stays happy. For some time, many people working for the coal industry have been worried that their jobs and livelihood might become obsolete. But if the coal industry has anything to say about, this is nothing but a myth.